The Professional Solution for Design Visualization! San Diego, April 6, 2006 - nPower Software (a division of IntegrityWare) announces Power Translators Pro, the premiere solution for importing large CAD models and assemblies into Autodesk® 3ds max® and Viz™. The new Power Translators Pro product is a dramatic improvement in productivity for professional design visualization engineers who need to render lots of large, complex CAD models in the most accurate and efficient manner. Power Translators Pro is the ideal product for Design Visualization professionals. Power Translators Pro, with Power Net maximizes the design visualization throughput by leveraging distributed computing power and network optimization. Thus Power Translators Pro is optimized for the large models, and large volumes of data typical of the CAD industry. Complex data translation processing which used to take days or even weeks to accomplish can now be done in a matter of hours. And Power Translators Pro maintains the high quality surface definitions required to obtain the most accurate rendering. 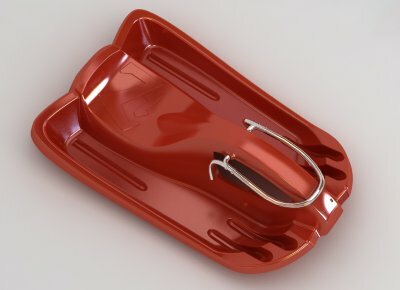 Instead of translating their high quality surface models into imprecise polygonal models or intermediate formats, and then struggling to generate high quality renderings, design visualization professionals can efficiently and accurately transfer the precise surface definitions generated by the CAD designers. Power Translators Pro leverages a state of the art precise CAD geometric modeling kernel (SOLIDS++) that has been integrated into Autodesk® 3ds max® and Viz™ for the most accurate geometric modeling representation. This powerful professional tool is designed to handle the large and geometrically complex data sets typical for CAD models, and contains all the necessary tools to cleanup, prepare and render those CAD models in the most accurate and efficient manner. Power Translators Pro is an extension to nPower Software's popular Power Translators plug-in for 3ds Max. It includes the following new features. For users with many models or large models and assemblies to render, data translation can become a huge bottleneck for the design visualization pipeline. Power Translators Pro will take advantage of the maximum processing power available. Power Translators Pro optimizes the translation process by intelligently distributing the work load across the network through the Power Net network management tool. It can distribute the load across multiple processes on your local machine and also across the satellite machines on your network. Whether you have a large render farm or just a few satellite machines to access, Power Net can distribute the processing to the available machines. Power Net leaves your personal workstation free to perform interactive modeling tasks, while distributing the translation activities to the satellite machines on your network. Thus the design visualization professional can work in an efficient and productive manner while Power Net works quietly in the background. Instead of translating models one by one, with Power Translators Pro you can batch process a large group (up to 8000 models) of model files simultaneously. And Power Translators Pro will leverage your network resources to optimize the translation process. Power Translators Pro can utilize the multi-core and/or mulit-processor architectures in today's high end machines. One of the most time consuming operations is the generation of polygonal meshes from precise CAD data; Power Translators Pro leverages the multi-processor architecture to distribute up to 4 processes in order to maximize the mesh generation for streamlined rendering. Power Translators Pro intelligently imports the CAD data, and will automatically sew disconnected surfaces that belong sewn together. Power Translators Pro also includes powerful cleanup tools for correcting inaccurate data. For example, you can sew together faces, trim and un-trim, project curves, apply materials to faces, and other editing options. You can trim surfaces by curve projections or surface intersections. One of the great things about Power Translators Pro is that even when your CAD data is not correct, you can use the powerful editing tools to clean up the models before rendering or animating. Power Translators Pro includes intelligent surface visibility cleanup tools. It includes advanced tools for flipping and unifying face normals. It's unique ring based surface unification algorithm will quickly work from any face on the model outward to unify the adjoining face orientations. It also has an intelligent duplicate surface detection mechanism with variable tolerance edge matching to quickly identify and remove difficult to find duplicate surfaces. Power Translators Pro includes support for translation of Parasolid and SolidWorks models and assemblies in addition to the Power Translators standard support for IGES, STEP, SAT and Rhino. 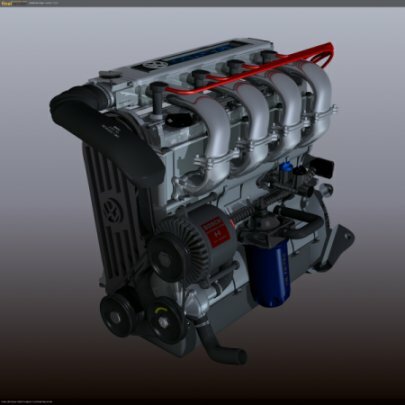 Power Translators Pro also offers add on solutions for native data translation from Catia and UG. Instead of importing imprecise polygonal approximations, these native translators leverage IntegrityWare's precise geometric representation (SOLIDS++) to generate extraordinarily smooth, crack free renderings without polygonal artifacts. Streamline your CAD design visualization workflow with Power Translators Pro, and unleash the power of your creativity. Power Translators Pro sells for $1995, and includes a free 1 year subscription to Power Net. Power Translators Pro can be purchased at the nPower Software on-line store (www.nPowerSoftware.com/store.html), and through various resellers throughout the world. A free 30 day evaluation copy can be obtained by contacting nPower Software or one of the nPower Software resellers. Imported using Power Translators (using native Rhino translation) by Chris Jackson (Arcad). View high resolution image. View animation of model. 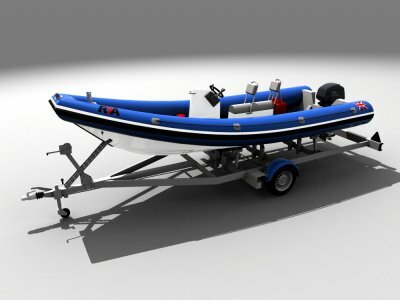 Marine model built in Rhino and translated and rendered by Peter Neceda ("I hope that my images help you present your tremendous tool Power Translators.") using Power Translators. View high resolution image. Andy Engelemier (Whirlpool): "As you can tell, we are enjoying the software. We are getting great results...We noticed a dramatic increase in productivity right away. What used to take us nearly a day now only takes roughly an hour, and with noticeably better quality." 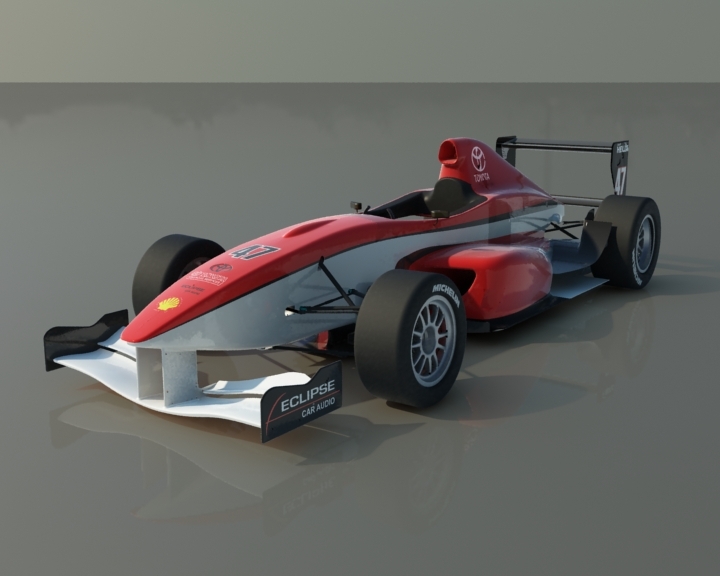 Richard Toften: "Your plug-in is fantastic and I use it all the time, importing from Catia... Thanks for providing such a useful tool!" Simon McGwire: "This is actually the best software I have seen in a long time. I work as a senior concept designer in the film industry. On very big films (currently Mission:Impossible3) where speed is very much the order of the day. And your software has greatly increased my productivity. Even more so with CNC machining becoming more and more prevalent in the film industry. Being able to export detailed models greatly increases the turn around, especially when we have often little more than a week from design to presentation prototype." nPower Software LLC is a company founded by IntegrityWare, Inc. (www.IntegrityWare.com) employees to market the superior technology developed by IntegrityWare over the past 8 years into the end-user geometry plug-in market.